Immediately following USA vs. Jamaica, the authentic Jerk Grill dinner shares the popularity of one of our fan's favorite teams, known for their horsemanship and exciting play. Join us for a cultural dining experience with the teams after the match! The meal, including meats, traditional side dishes and dessert will be served buffet-style under the polo tent immediately following the trophy presentation. Tickets* $35 per person, quantity limited, by advanced reservation until sold out. Cash bar. Catered fieldside. Polo match tickets sold separately. *Must present ticket at the buffet; Tickets are for individual dinner portions per person. This is NOT an unlimited buffet. Buffet closes promptly at 8PM. August is the month that Jamaica celebrates its independence from Britain. The 'jerk' tradition began over a century ago, when a group of Jamaican slaves called the "maroons" fled into the Blue mountains, evading British troops. They survived by rubbing indigenous allspice, blazing hot Scotch bonnet peppers, and fresh thyme into pork and chicken. They then used the branches of the allspice trees to slow-smoke the meat for hours. 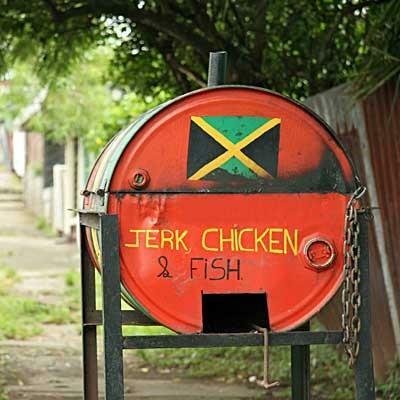 They called the spicing and the cooking method "jerk" and the tradition carries on with great appeal to locals and visitors alike! Refunds must be requested in writing by the customer, via email, at least 7 days prior to the ticketed event (by noon on the previous Friday) sent to: agnes@nptpolo.com. RAIN DATE: In the event of the cancellation of the August 17th polo match prior to its start, (due to weather/field conditions), the Apres Polo dinner will be postponed to the following day, Sunday August 18th, at the same time. All original Jerk Grill dinner reservations will be transferred to the rain date. For more details on our ticket policies, please follow this link. In the event of inclement weather, always check the Match Status recording on our Info Hotline (401) 846-0200 x2 and our website, nptpolo.com for Alerts, both of which are updated with any status change for the impending match.